...is the only all-Natural, zero calorie, zero glycemic sweetener on the market that measures and tastes like sugar. 1 cup of ZenSweet equals 1 cup of sugar. This makes it healthy and easy to re-create all your favorite recipes. ZenSweet is a pure sweetener whose ingredients are all-Natural. 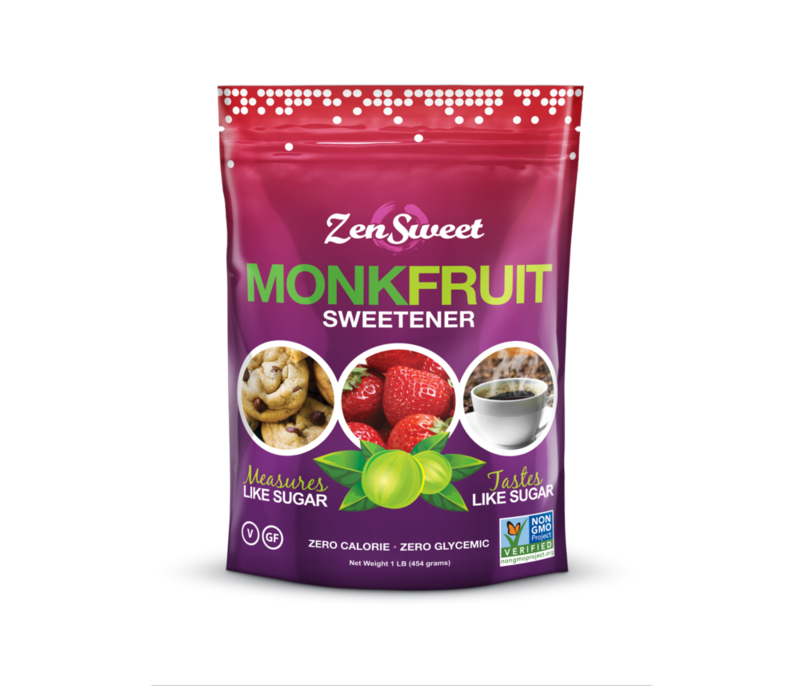 ZenSweet is not only low calorie, at 0.34 calories per gram, but its ingredients can help maintain digestive and oral health, and may aid in balancing blood sugar levels.